Wow, what a great story. The record book is amazing! So is your finished quilt! I love this post. 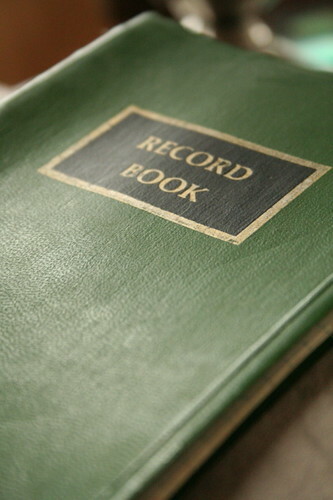 Thanks for sharing your own record book/blog with us readers. Oh, Elinor, this is a beautiful story. Laura Belle is definitely watching over you and laughing with you about the “ugly tie” quilt. Wow – this is amazing! I certainly hope our granddaughters will see our knitting blogs and flickr photos – and follow in our footsteps as well. Too bad we can’t make blog record books – or can we? That quilt is amazing! Quilts and hand-knits are just the most amazing and thoughtful gifts. That is gorgeous – so inspiring! 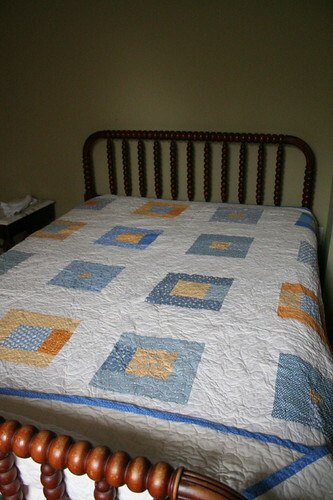 I love your quilt … and what a great piece of history to have for inspiration! 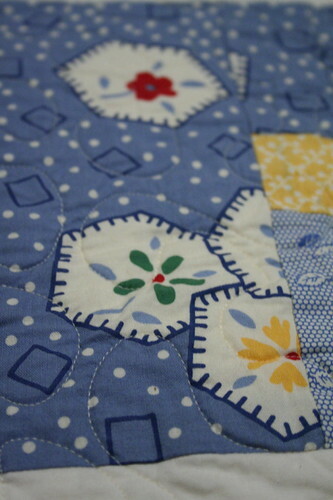 Beautiful story and quilt – Laura Belle would be proud. And the quilt — amazing. your quilt is great! i didn’t realize that you could farm out the machine quilting part. hmmmm, that gives me ideas! 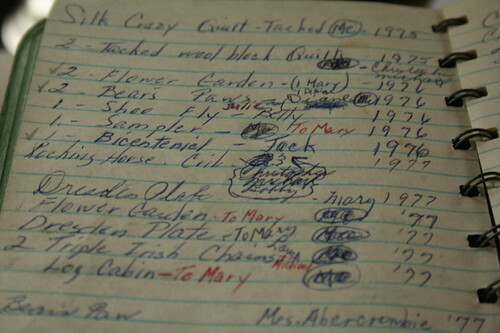 Laura Belle’s record book is the kind of thing that local historical societies like to have. Or university library women’s studies collections. I’m sure you don’t want to part with it, but you should think about donating it at some point down the road, or at least see if someone is interested. What a lovely story, and a gorgeous quilt! I’m sure she would be proud of you. Oh wow, your quilts look amazing. And what a lovely book you have there – I love all the notes an the history of it. 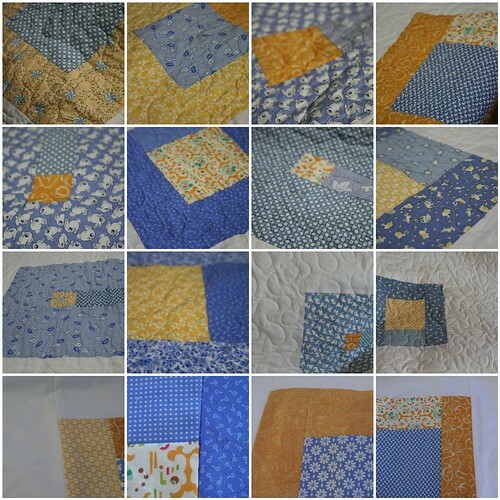 The quilt is so lovely & I love reading about Laura Belle – she is an amazing crafter! Ah, it’s the original Ravelry!!! Stunning quilt. But what really takes my breath away is Laura Belle’s notebook. Today, I think, hand-made gifts are things made with the “heart”, things on which a person put energy,emotions… It’s a great gift when someone give me an hand-made gift, I always appreciate it so much. And I also think that today, in our world that is always so materialistic, it’s a pleasure to know someone able to do something only using his hands. What a lovely story and a beautiful momento. 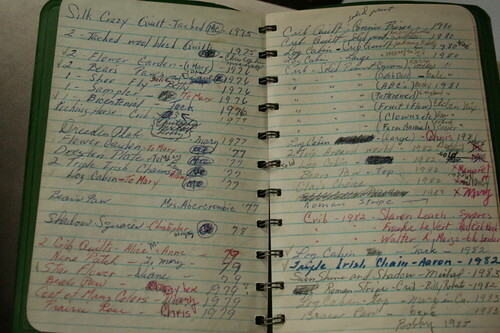 I have my grandmother’s recipe box and I love to thumb through it and see the notes and changes she made while cooking…I only wish she had kept a record of her sewing and knitting. Laura Belle would have been a heckuva blogger, and she would have loved that quilt. I do, too! Lovely quilt, and lovely story! Beautiful colors, my favorite! 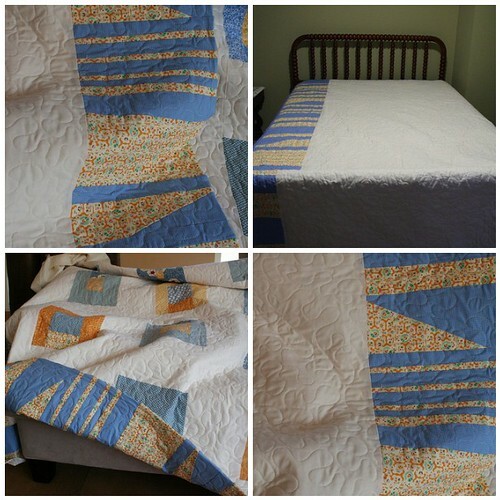 What a great post and what a beautiful quilt! That book is such a treasure! Your quilt turned out lovely – five months is more my kind of speed. Quilting too?! I love it. The back sides of quilts can be so boring…..great idea. I have quilts I’ve worked on for years so five months seems fast!